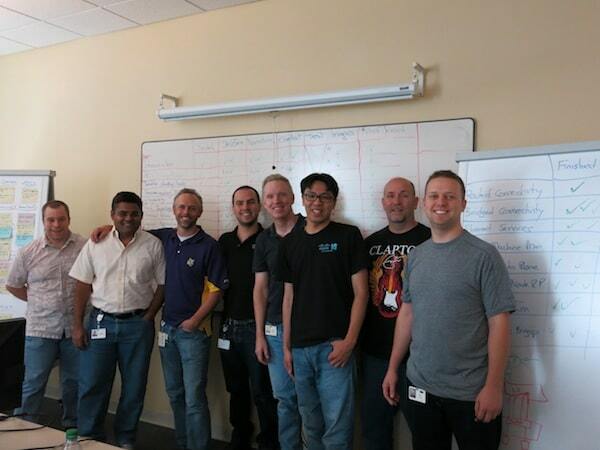 The 5-day Book Sprint at Cisco’s premises concluded with great success and happiness last Friday. 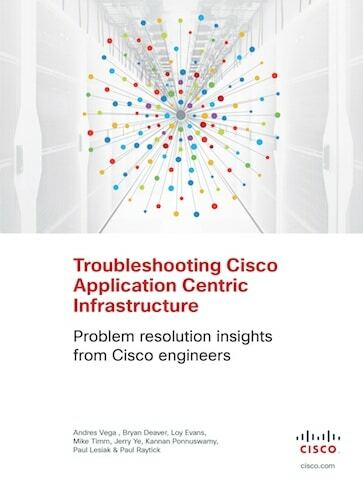 The book: “Troubleshooting Cisco’s application Centric Infrastructure (ACI). 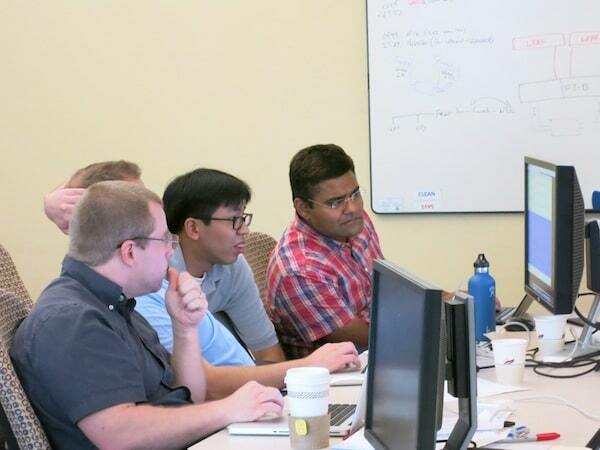 Problem resolution insights from Cisco engineers” brings technical documentation for the newly Cisco’s developed technology: ACI. All happened in a room of Building 20 in the heart of Silicon Valley. 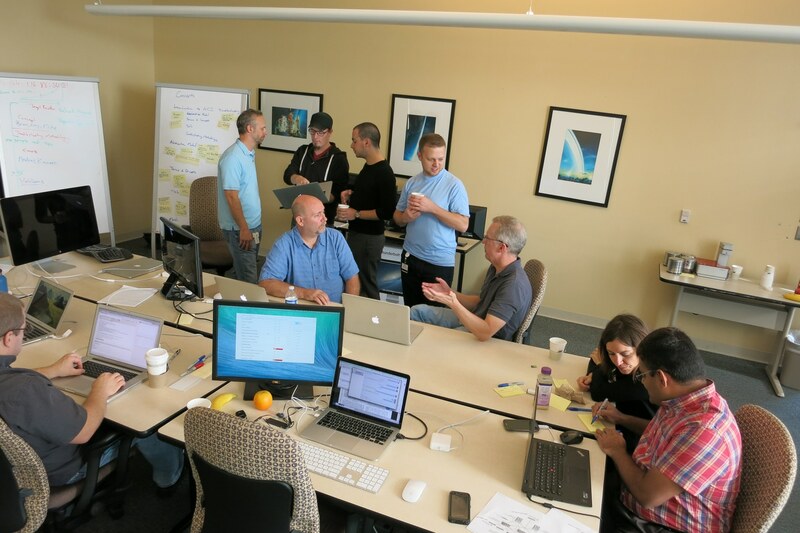 A group of eight Cisco’s engineers were brought by the Book Sprint facilitators into a collaborative knowledge production process to pool, transfer and share their expertise. The concept, structure and book content were decided on day one after a rich debate. The following days, the participants wrote, rewrote, revised and clean up the text to finally bring out a 300 pages book. During the whole process, the Book Sprint illustrator Henrik van Leeuwen translated the technical procedures in visuals for the final layout. 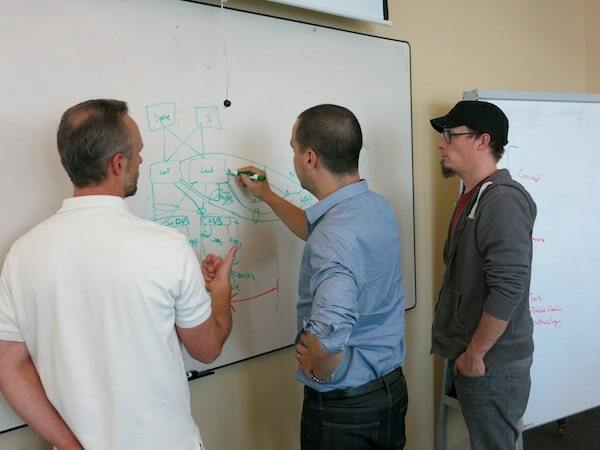 To see more photos from the ACI Book Sprint click here.